Equities start the day higher as Bernanke gets back from Pamplona and says “I gotta get this thing going!” Today is actually Day 6 of the running of the bulls in Spain and it’s also Day 6 of a Wall St rally. Coincidence? I think not my friend. In fact that whole Pamplona madness goes on for another 3 days so let’s hope we run parallel to drunk Spaniards and people sucking the marrow out of life. Big Ben took a little Q&A last night in Beantown and basically says “look, the job market is probably weaker than you think it is and we’re gonna stick around a bit longer.” What was the net result of a dovish Bernanke on futures? +1%. Boom. You know what’s great about all this “taper on / taper off” talk? I’m gonna tell you so strap in. The market doesn’t care either way. In the past few weeks we’ve come to the realization that QE tapering is fine and we can live with it so stocks rallied. Good economic data is just that, good. Now we have Bernanke saying “don’t short me bro” and that’s ALSO rallying the market. Taper = rally. No Taper = rally. Delayed Taper = rally. Can you imagine trying to fight that? Toss in the fact that stock ownership remains at insanely depressed levels and you’re telling me you wanna go back to Bonds? Gold? EM? Wine? (ok maybe wine is fine). After the open we traded sideways for the entire first half of the day. Frustrating right? Great news and the tape decides to tread water. But it happens, a lot, especially on days like today. When “market friendly” news comes out overnight, and futures decide to have a Fiesta Extravaganza, it usually prices the entire move out instantly. Take a look at this chart…sideways from 10pm CT thru lunch. No chance to get in unless you were already in. So what did the best? Tech / Industrials / Materials. The worst? Financials and Energy (oil was down and regional banks took a beating off lower rates). The biggest winners were AMD +11%, LEN +8%, DHI +9%, CELG +7.8%, and FFIV +5.5% (AMZN also busted $300 today, new all time high). The top 3 losers were NBR -2.5%, RF -2.4%, and TRIP -2.4%. With a return to “QE love” all the following reacted like you’d expect it too: Gold +$32, US Dollar Index -1.2%, 10yr Yield 2.58% (2.75 a few days ago), and all the major US indices up over 1%. Basically a full on “more cowbell” rally if I ever saw one. Wanna talk health of today’s move? 25% of the SPX hit a new 52wk high. Breadth baby. The last hour saw us break that dreadful range and close at the highs, 1,675, up 1.3%. A fresh ALL time high and as we know..all time is a long time. Now I try not to be a perma bull, I really do. I hate when people stick to one side of the market and can’t see the sand shift beneath them. I’ve been bullish for a while now, doing my best to brush off noise like the sequester and Cyprus and Italian elections. And you know what? I’m going to stick with that view. Things ARE IMPROVIING in the United States. It’s not some made up data or smoke screens. Jobs and Housing are real. The Fed is real. An exit from bonds is probably real (not convinced just yet). The wealth effect from 401ks and homes is real. A default setting of optimism is good, embrace it, don’t always hunt for the misery. When your brother’s deadbeat friend gives you a hot stock tip or buys his 3rd home with leverage then we run for the hills. In my opinion we are NOT awash in exuberance and excess right now so stay the course. Final Score: Dow +111bps, S&P500 +136bps, Nasdaq +196bps, Rus2k +125bps. · Things Michael should’ve invented #168. RFID for the masses..i love it. Need one on my remote control stat. 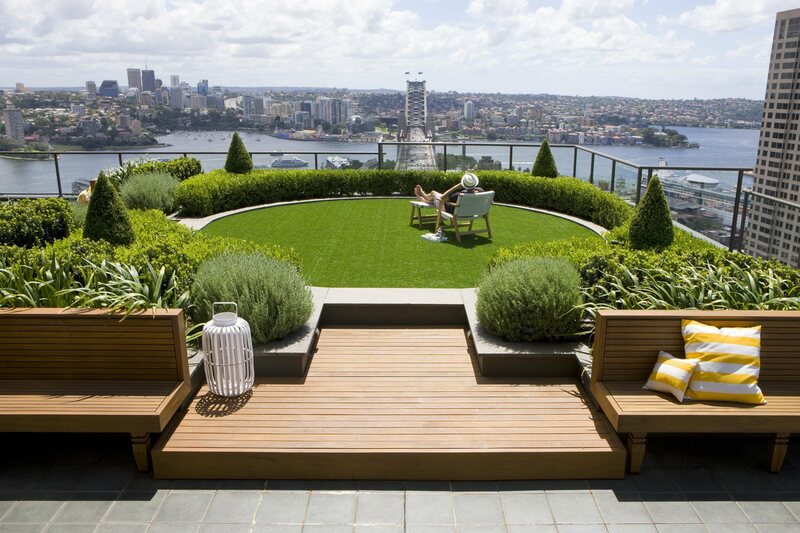 ·Of course this guy in Australia has his own gorgeous landscape. Think he uses a lawnmower? ·Ok this might be the greatest movie since Citizen Kane. Or The Usual Suspects. Or Star Wars. I can’t continue with any more links because this movie has me so excited. I’m begging you…just BEGGING you…watch this trailer and then watch the movie. My God…is that the dude from 90210 and Tara Reid? #Sharknado tonight. The live tweeting of this will be legendary. We’ll end tonight with 2 spectacular videos. The first is…I don’t know how to describe this. I’ve seen beer bottles opened a variety of ways in my life but never like this. As an aside, how fun does that party look? The second is 9 minutes long, so I doubt a lot of you watch it. But in this 9 minutes is more creativity than all of Hollywood has produced this summer. A very cool fan made movie called “Flying Man”.